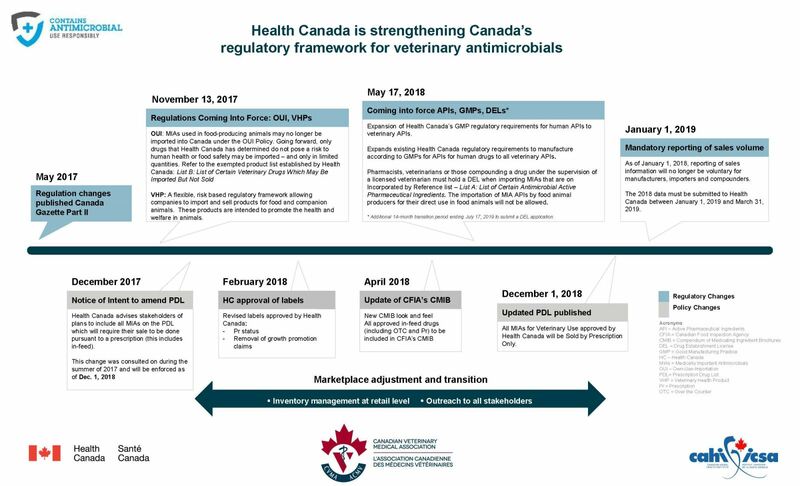 CAHI and its members are in full support of a number of Canadian regulatory and policy changes by Health Canada to increase veterinary oversight over the use of Medically Important Antimicrobials (MIA), including their move to prescription drug status on December 1, 2018. Many of the chemical classes of antimicrobial drugs, or antibiotics, used in animals are also used in humans. Medically important antimicrobials are essential for the treatment of serious and life-threatening human infections. If these drugs become ineffective due to the development of bacterial resistance, alternative antimicrobials may not be available. Drugs with limited or no alternatives for the treatment of human infections are considered more important than others. New requirements and the expansion of the veterinary health products program to increase access to alternative animal health products for production animals. Additional policy changes made by Health Canada include moving all MIA to veterinary prescription only use. This means, as of December 1, 2018, a veterinary prescription is needed to use Category I, II and III antimicrobials. These drugs are no longer available for purchase at livestock medicines outlets, co-operatives, or other places where over-the-counter animal medications are sold. In addition, as of November 13, 2017, these antimicrobials can no longer be imported for own use. Medically important antimicrobials are only be available, with a veterinary prescription, from a veterinarian, pharmacist or as a mixed medicated feed from a feed mill. More information about these regulatory and policy changes can be found on the Health Canada website. Questions about the regulatory and policy changes should be sent to vetdrugs-medsvet@hc-sc.gc.ca. More information about updates being made to the Compendium of Medicating Ingredient Brochures (CMIB) can be found on the Canadian Food Inspection Agency website. Questions about these updates should be sent to your local CFIA office. 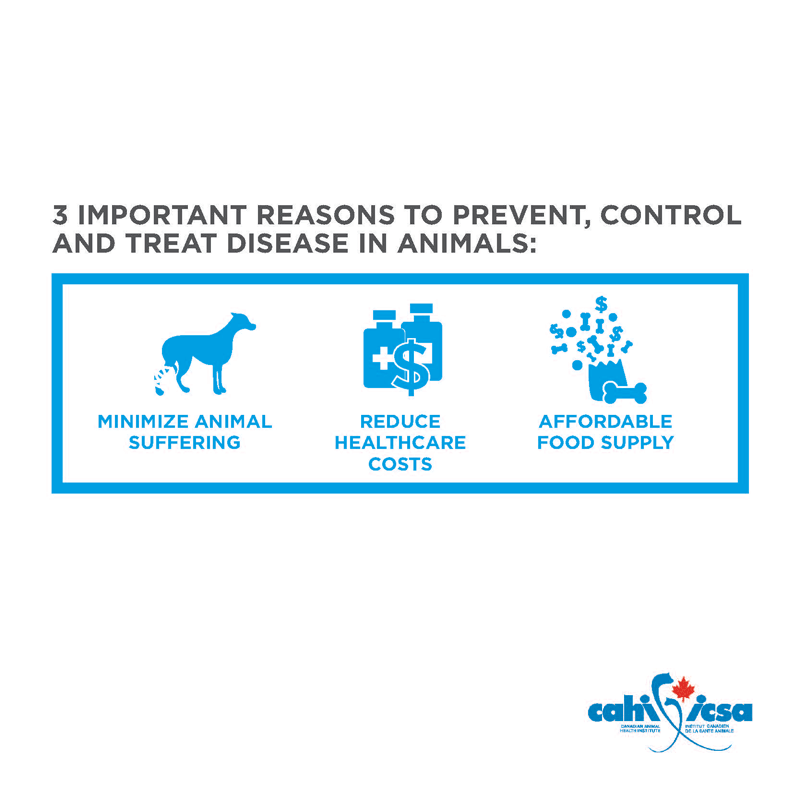 Along with Health Canada, CAHI is collaborating with the Canadian Veterinary Medical Association (CVMA) and the Animal Nutrition Association of Canada (ANAC) to help raise awareness of these changes. More information about how CAHI and ANAC members have managed the inventory of medically important antimicrobials during the transition to December 1, 2018 can be found here. The ANAC fact sheet detailing how these changes are managed in the Compendium of Medicating Ingredient Brochures can be found here. A picture tells a thousand words. 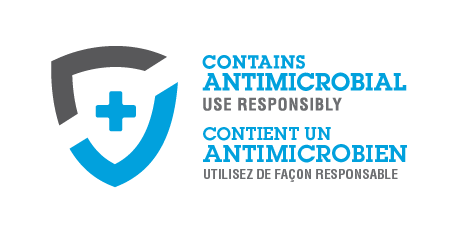 CAHI is pleased to be able to share the “Contains Antimicrobial, Use Responsibly” logo for voluntary label use on Category I, II, and III medically important antimicrobials used in animals. Facilitate easy recognition of medically important antimicrobial products by veterinarians and animal care providers through product labels, inserts and brand promotions. Prepare a simple, easily understood message about the importance of responsible use of these medications by veterinarians and animal care providers. Medically Important Antimicrobials need to be used responsibly in animals to best manage resistance in humans and animals. When resistance occurs it diminishes our ability to treat disease effectively, in both animals and humans. We care about animal welfare and the use of antimicrobials empowers veterinarians and farmers who want to keep animals healthy and well cared for. We all have a role in minimizing resistance and safeguarding the effectiveness of antimicrobials. Everyone must to do their part to prescribe, dispense and use antimicrobials responsibly.